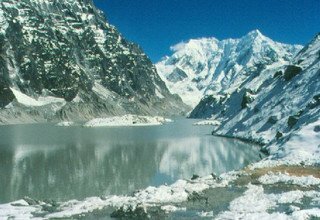 Tsho Rolpa Lake Trek is one of the least visited trekking routes located in the Rolwaling region which takes you to the largest glacial lake in Nepal, Tsho Rolpa. 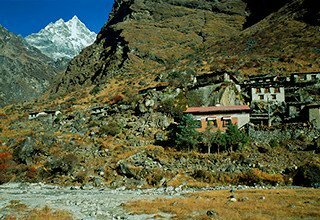 Although a neighbor to the most famous trekking destinations, Everest region, Tsho Rolpa remains remote and serene in all its glory. Apart from the pristine lake Tsho Rolpa itself, the trek features a continuous panorama of Gaurishankar Himal (7134m) adding beauty to the trek. 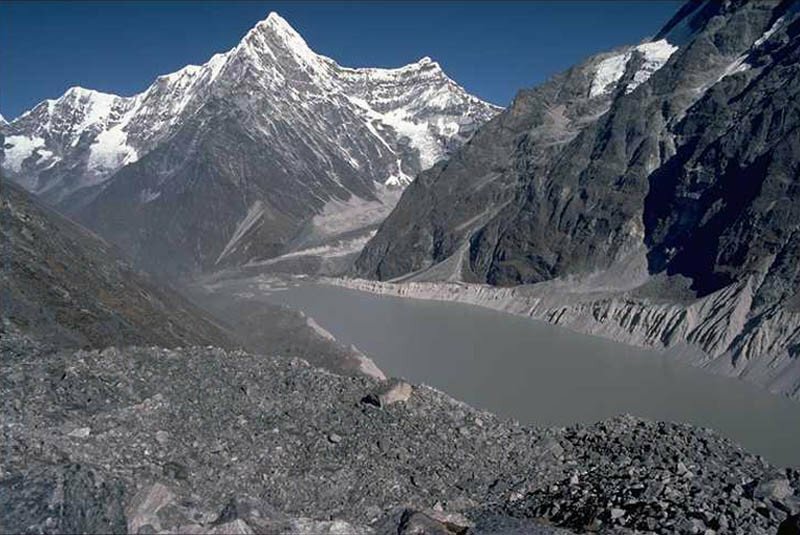 The remote trek to Tsho Rolpa Lake may be challenging, but it is full of amazing facets of nature to make it a trip worth heading for. 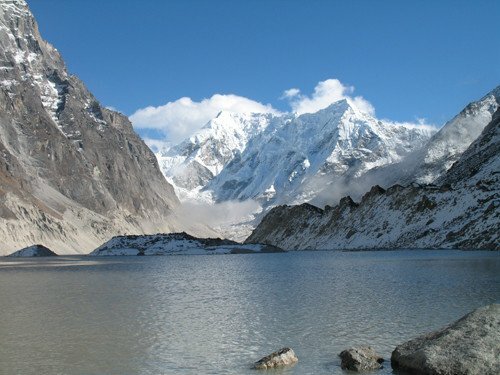 The Tsho Rolpa Lake Trek begins from Dolakha, near Charikot, an eight-hour drive from Kathmandu. The trail moves along the Tama Koshi River for the most part of the trek and also follows Rolwaling River on the upper regions. Throughout the trek, you will have a spectacular vista of Gaurishankar Himal (7134m) as you walk through the small settlements of Rolwaling valley. The highlight of this trek, Tsho Rolpa Lake, is located between small hills and the surrounding mountains that make the view appear surreal. Also, the tranquil environment around the lake makes the trek worth it. Since the route takes you to the Tibetan border side, a huge influence of Buddhism can be seen in the area. However, we can see the culture and lifestyle of Brahmin, Chhetri, and Sherpa people. 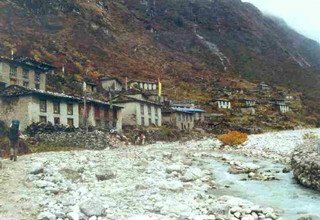 The trek allows the trekkers to experience the Sherpa culture of Rolwaling valley as it reaches the villages like Chhetchhet and Beding. The trail is mostly waterfalls, rivers, Mani walls, rice fields, and meadows working together to make the trek a memorable journey. 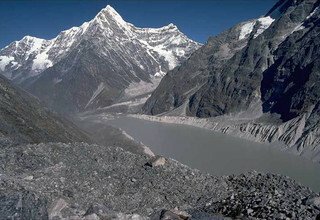 Swiss Family Treks and Expedition, for the last 15 years, has been organizing various tours and treks in different parts of Nepal. 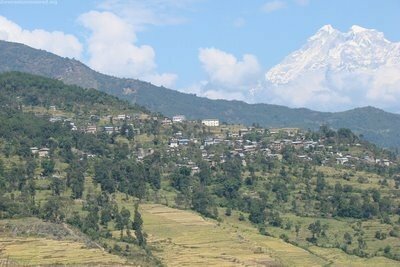 Our team has crafted the itinerary in such a way that you do not miss any aspect of Nepal: cultural or natural. Our guides are very friendly and are usually from the local region, but also fluent in English to help you make the most out of your trip. We accommodate you in the best lodges available and provide you with a private land cruiser for off-road drives. 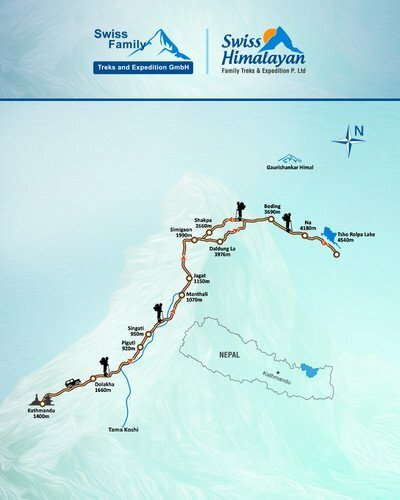 So, remember us for a journey in the Himalayas. Welcome to Nepal! You will be greeted by our representatives at Tribhuvan International Airport, Kathmandu, and will be transferred to the hotel. Overnight at a 3-star hotel in Kathmandu. After breakfast, we drive to Dolakha on our land cruiser. Along the way, we can enjoy the views of Sunkoshi and Bhote Khosi rivers. We stop by a place called Mude for lunch and enjoy the picturesque villages and amazing mountain views as we continue our drive. The whole trip takes about 7-8 hours. 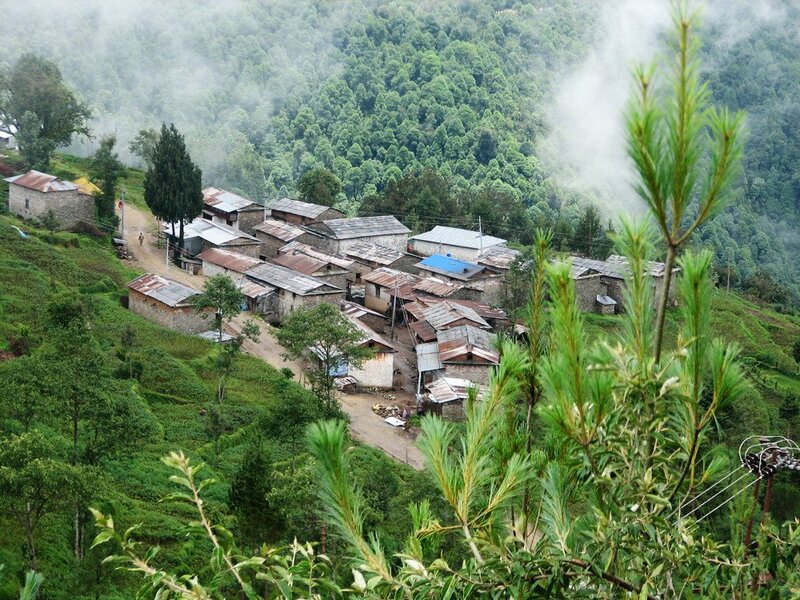 Dolakha is a town inhabited by a mixed community with a majority of Chhetri. Overnight in Dolakha. We descend on the wider trail to Tama Koshi River bypassing fields with rice paddies. We cross the suspension bridge to arrive in Malepu village. The trail goes through pine forests with a distant view of Gaurishankar (7134m) in the background. Walk along Tama Koshi River to reach Pikhuti village for lunch. We cross a suspension bridge, descend to the shores of Tama Koshi River and ascend through the rice fields to finally reach Singati village. We follow a narrow trail along Tama Koshi River and the valley. After passing the river, we ascend uphill to the mountain road trails. 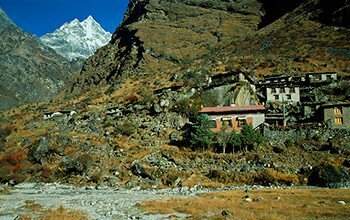 Walk on the trails on the cliff to arrive at Suri Dhoban from where we can get a view of Gaurishankar (7134m). Cross the suspension bridge and ascend uphill passing Mani stones and prayer wheels until we reach Manthali village. We then cross a suspension bridge and follow the river bank to reach Jagat. Descend to the river bank and follow the trails to the forested zone, cross a small river to arrive at Gonggar village. Ascend to the stone steps to encounter amazing waterfalls. Finish the steps and walk on gentle flank through the fields until we reach Sherpa village of Chhetchhet. Cross a suspension bridge and ascend into the forest and through the fields. 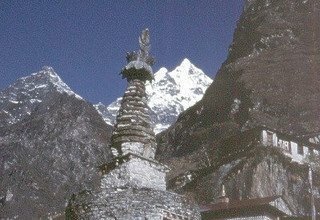 Continue passing the Chorten to reach Simigaon, where Mount Gaurishankar (7134m) rises over the valley. Explore the Buddhist Monastery and other areas in the evening. Overnight in Simigaon. 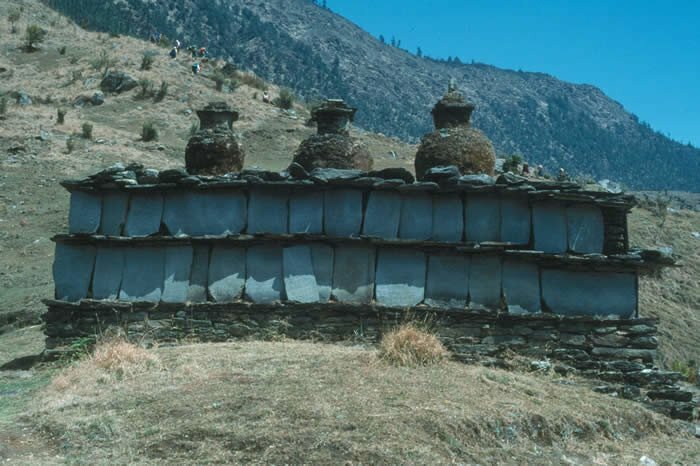 Leave the village from the Gompa of Simigaon, and descend to a slope and go around the edge by ascending to the vertical stone steps. Enter the forest and walk through the up and down trail to reach Rolwaling River. Then, climb uphill through the forest along with the view of Gaurishankar (7134m). Ascend uphill till the trail becomes flat and smooth to reach Daldung-La. Overnight in Daldung-La. The trail today passes the forest along with ascents and descents until reaching Nyamare village. Here we have lunch and rest for a while. After lunch, we walk to the distant and the largest settlement in the Rolwaling region, the Sherpa village of Beding. Enjoying the view of the snow-capped mountains and the waterfalls en route, we reach Beding. 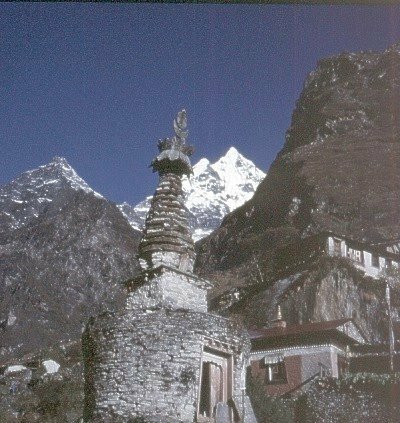 There is an ancient Gompa at the entry gate of the village. Overnight in Beding. We start with a slow ascend on the right bank of Rolwaling River until we reach kharka in Dhogre. We can see the magnificent Gaurishankar (7134m) looking different because of the different angle. After walking further, the valley slowly opens and becomes a U-shaped valley and grassland. Then, we pass huge Mani stone wrapped with prayer flags and a large rock on which the image of Bodhisattva is painted. Finally, we reach Na Gaon enclosed by stone walls. Na Gaon is at the foot of a huge series of mountains. Overnight in Na Gaon. The most unforgettable and vital moment of the trek finally arrives on this day as we walk from Na Gaon to reach the well-known glacial Lake of Tsho Rolpa. Early morning, we leave Na Gaon and pass the bridge over Rolwaling River. We ascend uphill to see several kinds of edelweiss growing in the meadows. 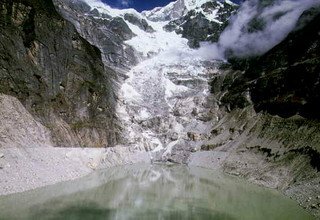 Walk between two glaciers and enter the valley and then walk to Tsho Rolpa Lake. 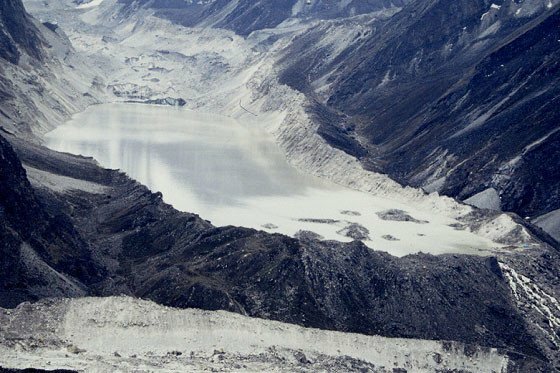 Walking on the moraines of Rolwaling Glacier, we arrive at the mesmerizing Tsho Rolpa Lake. Overnight at tented camp. 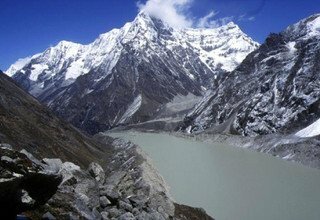 Tsho Rolpa is the biggest glacial lake in Nepal. The amazing natural beauty, located at over 4500 meters of altitude, will amuse the explorer in you. The turquoise lake is surrounded by bare hills and snow-capped mountains, which when reflected on the surface of the lake make it a breathtaking sight. 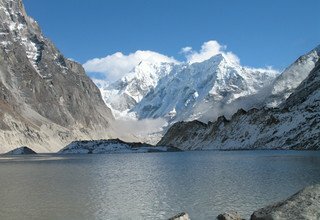 We will enjoy the calm moment, explore the lake, take amazing pictures, and treasure the moment spent around Tsho Rolpa Lake. After an unforgettable journey in the glacial lake of Tsho Rolpa, we retrace our route back following the same track to Na Gaon. With a short rest at Na Gaon, we start walking to Beding following the trail of Rolwaling River. Once you arrive at Beding, you shall rest at leisure and explore the village. Overnight stay in Beding. Today, we return to our destination, Shakpa, by retracing our way alongside Rolwaling River. We descend through the forest with a view of Gaurishankar (7134m) until reaching Shakpa. During the trek, we walk through many up and down trails. Overnight in Shakpa. After breakfast, we continue through the same route which we had taken before climbing up the trail. We pass through several up and down trails as well as many suspension bridges. We walk passing some small villages before we reach Manthali. Overnight in Manthali. After breakfast, we trek through a forested area from Manthali and continue by climbing ups and downs through the trails until we reach Pikhuti, passing the attractive villages alongside Tama Koshi River. We leave behind Suri Dobhan and Singati Bazaar, on our way to Pikhuti. Overnight in Pikhuti. We leave Pikhuti and continue to walk by passing the picturesque terraced meadows and through the forests until reaching Dolakha. 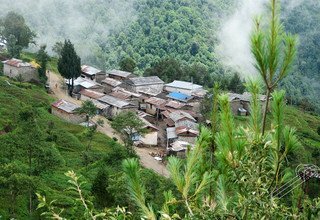 Following the trails of Tama Koshi River, we pass several settlements to arrive in the small town of Dolakha. Overnight in Dolakha. After a good breakfast in Dolakha, we bid goodbye to the Rolwaling area as we drive towards Kathmandu. We drive along the countryside road enjoying the view of surrounding hills, rivers, and villages. On arrival in Kathmandu, you will be taken to the hotel. Overnight stay at a 3-star hotel in Kathmandu. The farewell day! Today we bid you goodbye and drop you at the airport a few hours before the scheduled flight time. * Lodge to lodge and Tented accommodation during the camping trek. * Gaurisankar Conservation Area Pemit. * Any costs which arise due to a change of the itinerary, because of landslides, political disturbance, andstrikes etc.